Relentless Weather: More Snow as Another Nor’easter Blasts New England – Coercion Code – "Dark Times are upon us"
BOSTON — The snow was blowing almost horizontally when the lights began to flicker at Steven Malatesta’s home in Eastham, Mass., on Cape Cod, on Tuesday, as yet another nor’easter bore down on New England. But it was when the internet went down that Mr. Malatesta, 46, realized the power was out — for the second time in less than a week. “I expect this for this area during this period of the year,” said Mr. Malatesta, an advertising manager, who spent last week’s storm playing board games by candlelight. On Tuesday, he headed for the local library, which was offering internet and hot coffee to residents without heat or light. 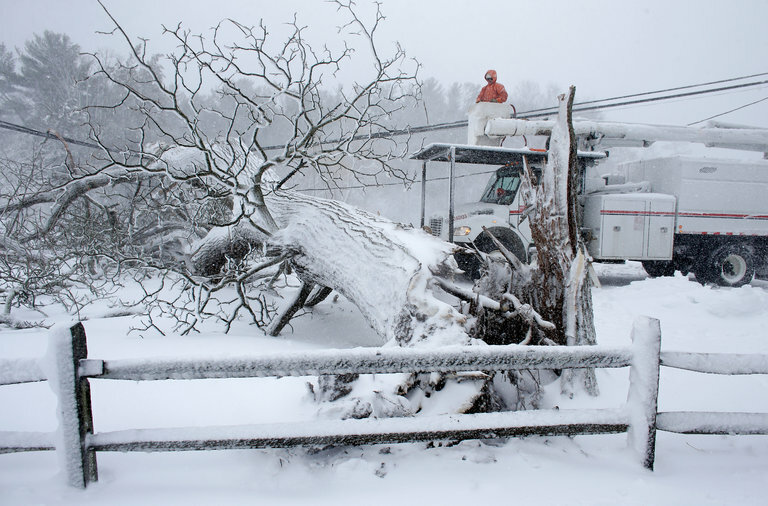 A powerful storm — the third in less than two weeks — lashed New England on Tuesday, toppling trees and branches into power lines and by midday plunging more than 239,000 homes and businesses in Eastern Massachusetts into the dark. The storm pounded a region just getting back on its feet after two previous storms had cut power to 750,000 customers. Last week, a nor’easter slammed into the East Coast on the heels of an earlier powerful storm on March 2 that killed at least eight people and knocked out power for 2.7 million across the Northeast and the Mid-Atlantic.